Students residing in Evesham Township shall attend Cherokee High School. Students residing in Medford and Medford Lakes Townships shall attend Shawnee High School. 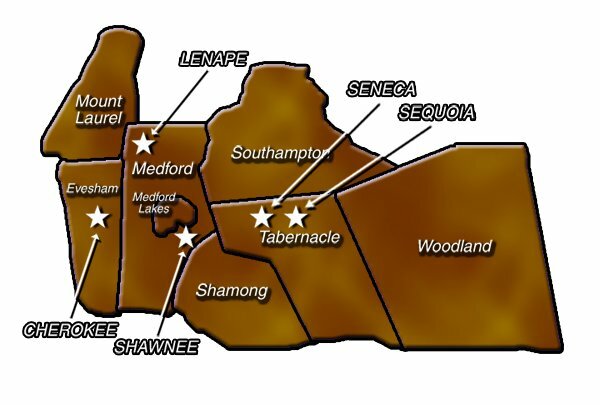 Students residing in Southampton, Woodland, Shamong and Tabernacle Townships shall attend Seneca High School.